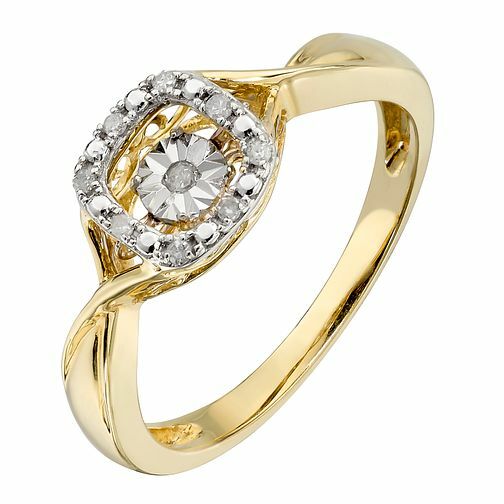 Sparkle wherever you go with this stunning Diamonds in Rhythm 9ct yellow gold diamond ring! Using a revolutionary design, a single dazzling diamond is set to allow continuous movement. Surrounded with a square frame of glittering diamonds, this pretty ring is finished with an elegant crossover shoulder design. Shimmering diamonds that follow your every move.